The status of Young Innovative Company (JEI) enables young companies very active in R&D to get significant financial support to get past the hurdle of the first and most difficult years of their development. It mainly consists in a social expense (tax) exemption researchers’ salaries and corporation tax exemption as well. The calculation of R&D’s share of expenses is roughly the same as the research tax credit (CIR above mentioned). 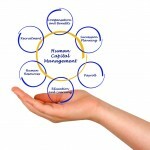 To preserve its status, the company must maintain all these requirements for each fiscal year. Subsidiaries of groups can benefit from the statuts if they were pre-existing companies. However, subsidiaires newly incorporated by groups are not eligible for it. These tax exemptions on corporate income tax are subjected to the European de minimis rule, which sets an upper limit on tax relief that a company can receive each year. These aids cannot exceed 200 K€ by company over a 3-year period. For each establishment, up to 5 times the social security’s annual (that is 199 880 € in 2018). No other capping exists as far as the payroll taxes are concerned. 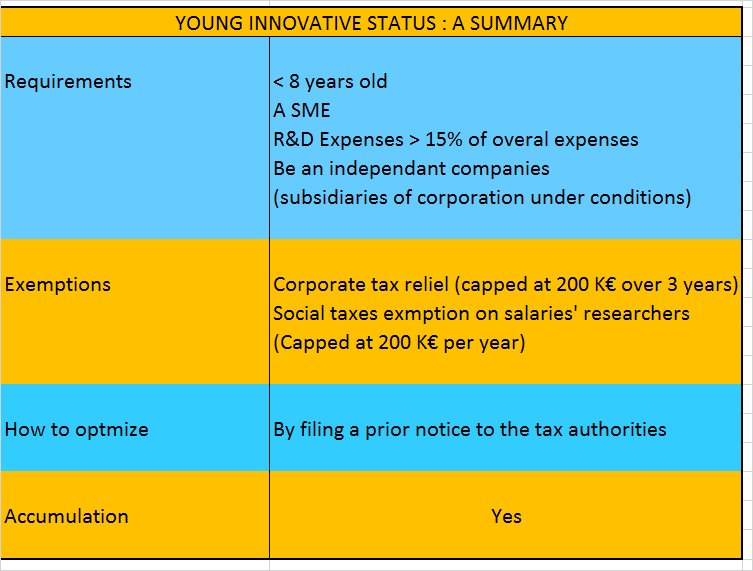 How to optimize & secure the Young Innovative Company status? In order to reduce the risk of queries from the tax authorities on the innovative nature of the research program, and consequently the statut JEI, it is highly recommended for companies to request from the Service des Impôts des Entreprises (SIE) “Corporate tax department” to which they file, to take a stand on the innovating nature of the project(s) by filing a prior notice request (rescript). The absence of answer from the Administration is worth agreement of its part. However, it can still control the reality and the amounts of the expenses. Our flexible and lean organization relies on experts and tax lawyers, who master the English language (and in some cases German) and have a confirmed experience of CIR. We assure you a quality of service comparable to that of large consulting firms, but at much lower rates. At Jean-Claude Armand and Partners, we consider that tax advantages should benefit above all the companies. For us, this is fundamentally a question of ethics!